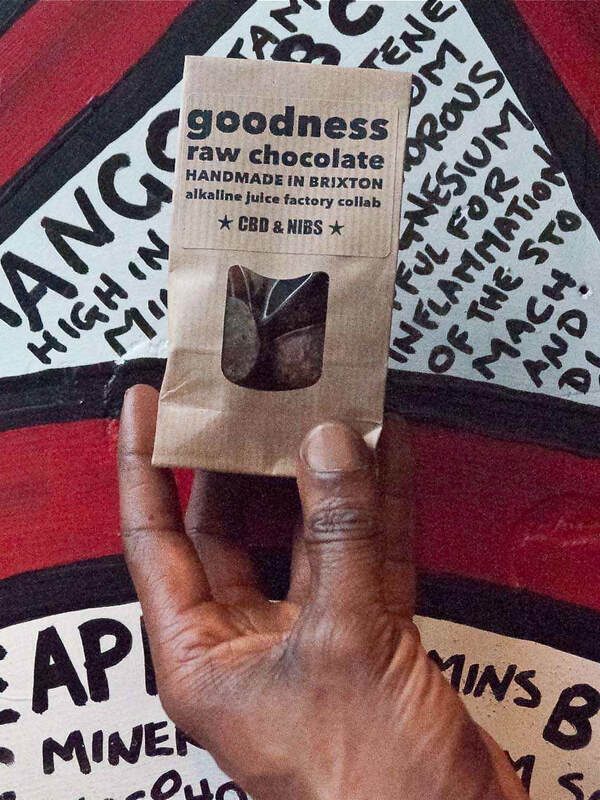 GOODNESS RAW CHOCOLATES & PRESERVES. 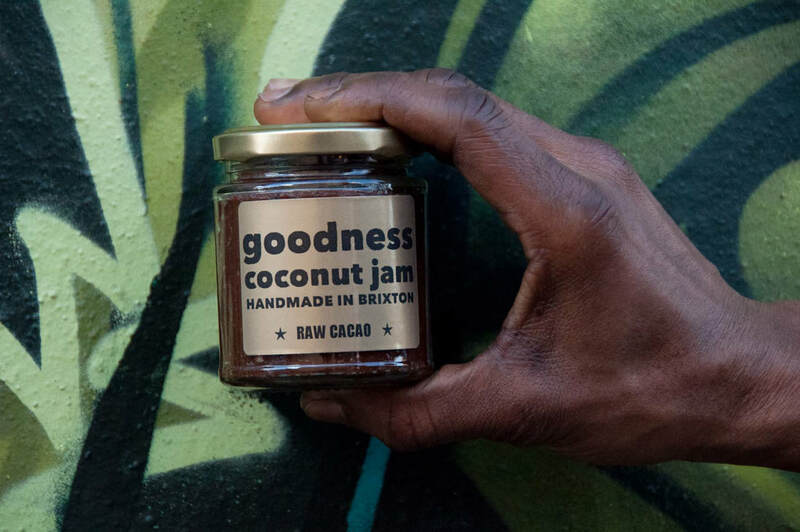 HANDMADE IN BRIXTON with love. 100% NATURAL. Goodness is based in south London. We make small batches of raw chocolate, coconut jam, coconut water kefir and fruit vinegars. Our ingredients are ethically sourced and organic. They are free from dairy, soya, gluten and added sugar too. Simple, delicious and raw. 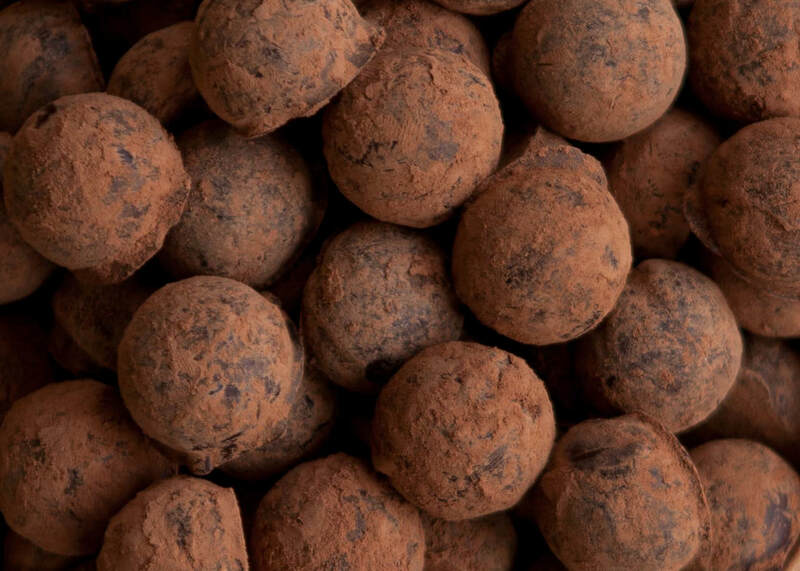 We combine organic cacao, creamed coconut, cinnamon and vanilla, then sweeten with whole dates. A jar of goodness. 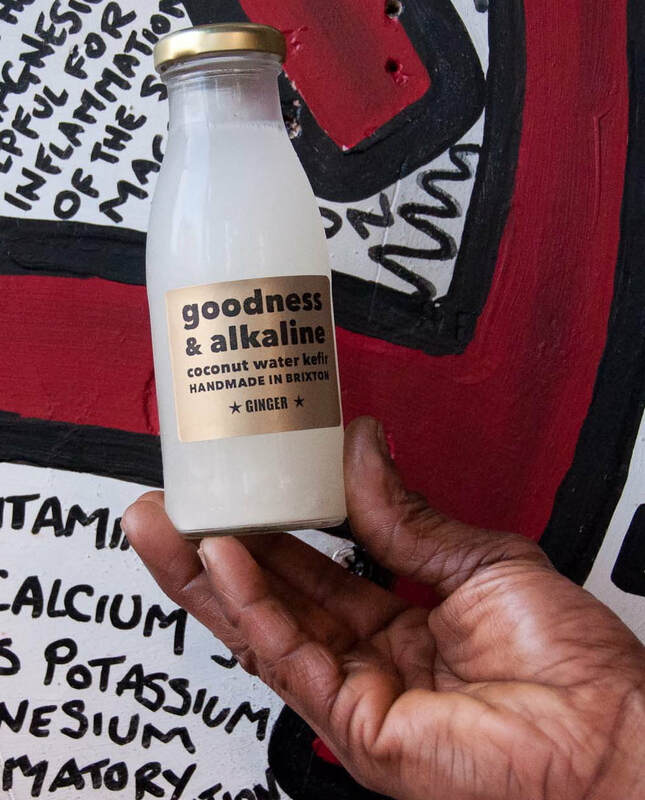 The latest collaboration from Goodness & Alkaline Juice Factory. Raw, organic vinegar made using waste fruit skins from the juicing process. Raw vinegar is great for promoting gut health and more. 100% naturally fermented with ‘mother’ probiotic enzymes. Made in four awesome flavours - mango, pineapple, banana. Plus, we make coconut water vinegar from fresh coconut. * Photography: Fan Sissoko/Dave Lewis/Virginia Nimarkoh.